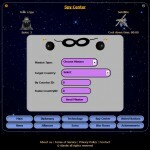 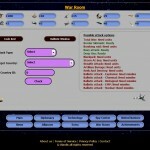 Strategy MMO Multiplayer Click to find more games like this. 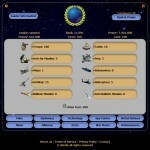 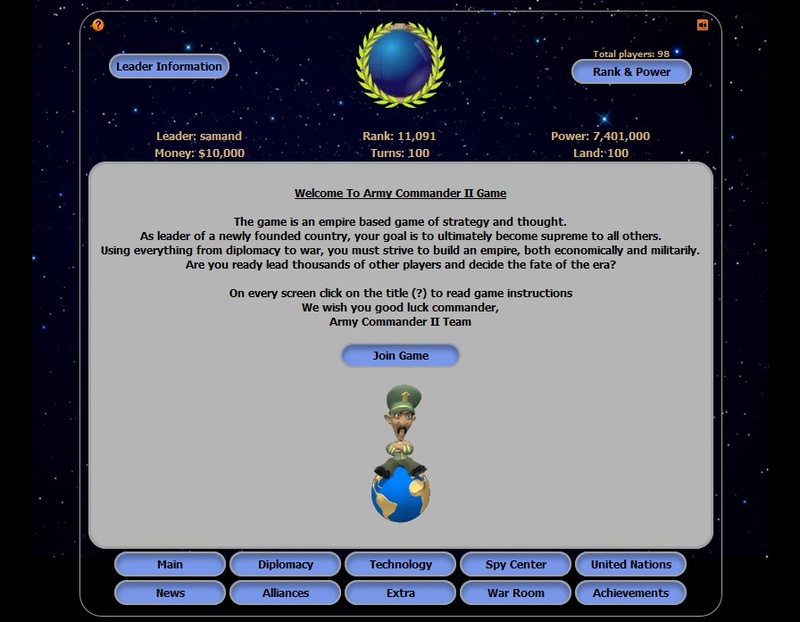 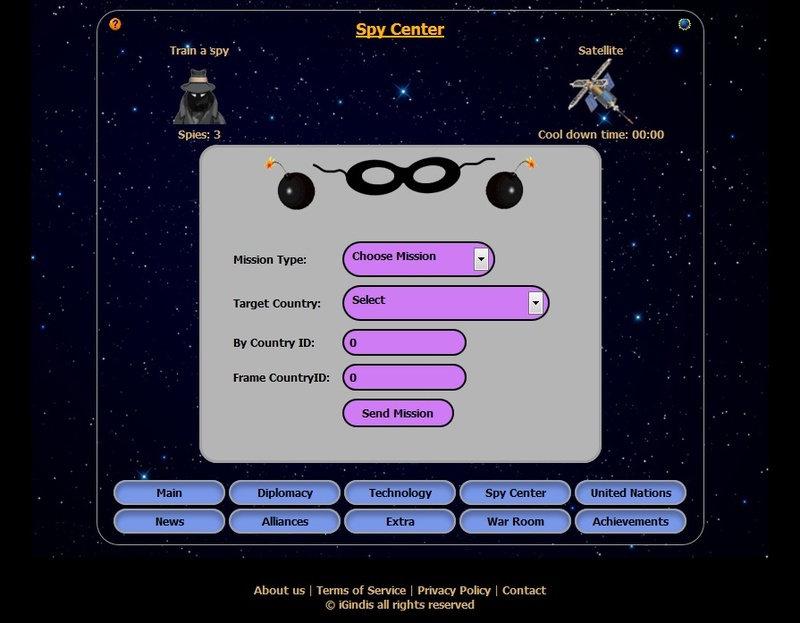 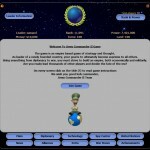 Army Commander II is an empire based game of strategy and thought. 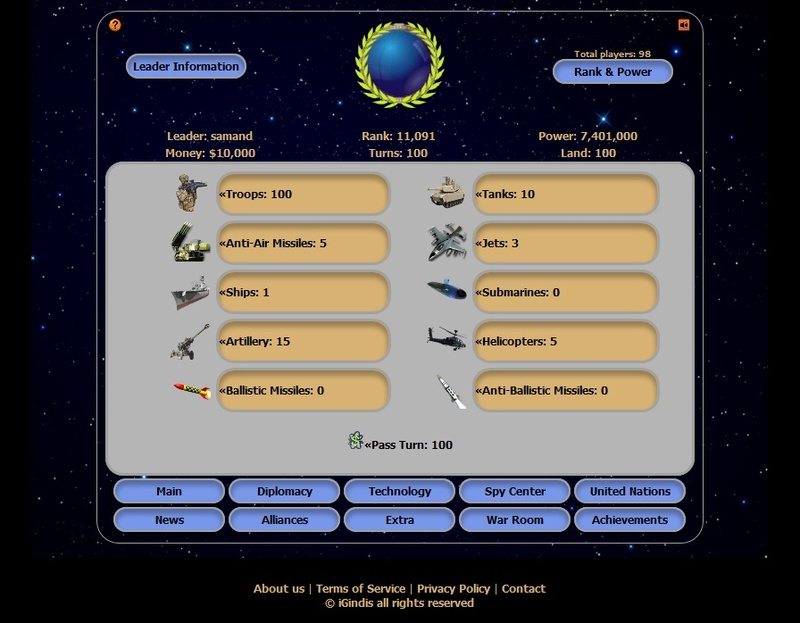 As leader of a newly founded country, your goal is to ultimately become supreme to all others. 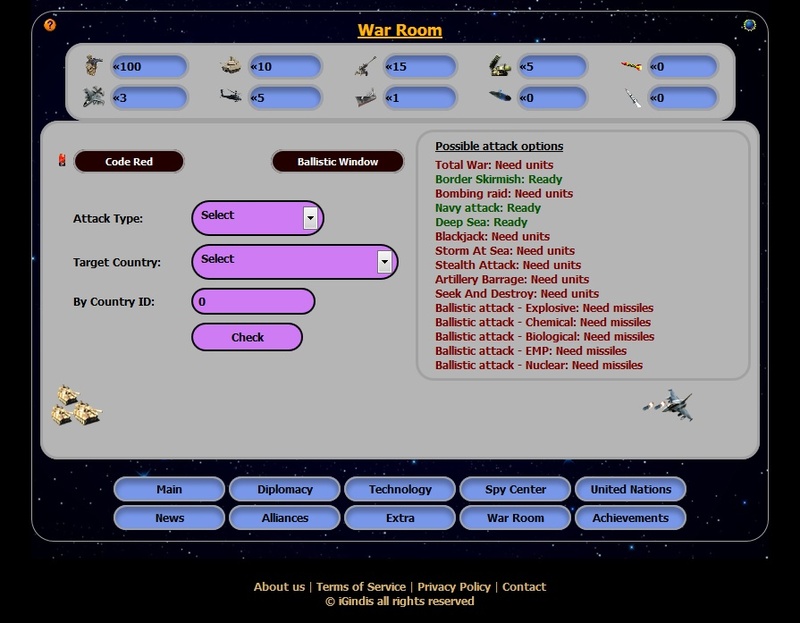 You begin as the leader of a small country and through diplomacy, strategy and skill you will expand your rule over the entire world.